Does building a swimming pool add or detract value from your home? It may be the perfect spot to kick back with a drink on a hot summer’s day or take a dip after a family barbecue, but is a swimming pool a good investment? 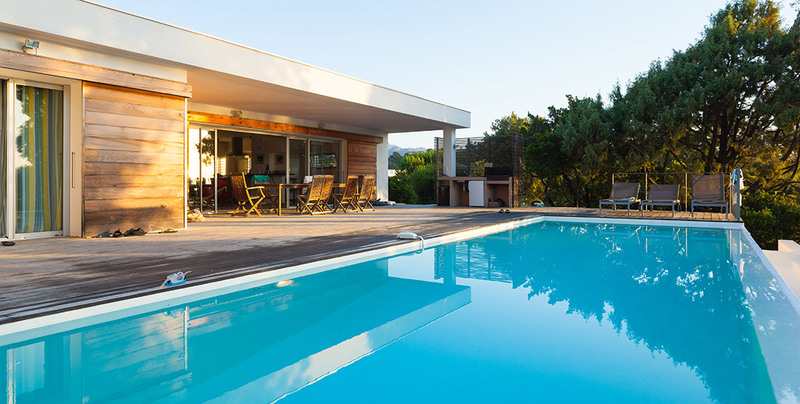 If you’re considering selling a home with a swimming pool, return on investment is likely to be a key consideration. After all, upkeep and maintenance of a pool isn’t cheap, so you want to be sure that you’ll be getting some of those costs back when you sell. So, is it worth it? Let’s take a look. Australia is home to 1.2 million household swimming pools – the world’s highest per capita rate of pool ownership. A Swimart survey found that over 90% of pool owners think their pool boosts the value of their house by an average of $30,000. Estimates of added value range between $10,000 and $100,000, depending on size, style, and location. But how much does it really cost to own and use a swimming pool? Concrete pools cost between $35,000 to over $100,000 to install, with the average being around $50,000. Then there are the additional costs of fencing, paving and decking around the pool, which vary depending on the set-up. When it comes to running costs, a typical backyard pool can account for up to 30% of a household’s yearly power bill and for some households, a pool can become the largest consumer of energy in a house. The annual cost for an average eight-metre by four-metre backyard pool is around $1400 every year. With that in mind, it’s likely that you won’t recoup all of the costs of owning a pool when you sell. However, there are situations when a pool can boost the value of your home. When does it make sense (and not make sense) financially to have a pool? Ironically, one of the best reasons to have a pool from a financial perspective is if you live near the beach. Waterside living is a big drawcard for many buyers, and those who are attracted to the beachside lifestyle are likely to be willing to pay more for a home with a pool as well. Likewise, living in a warm area works to your advantage. Pool ownership is highest in hotter climates – in Perth, for example, 18% of households have a swimming pool, while in Hobart just 4% of households have a swimming pool. As you would expect, there’s more demand for swimming pools in areas where pool ownership is highest. The type of pool you have can also impact its value on your home. While an above-ground pool is the cheapest option starting at around $3000, it’s unlikely to add any value to your property. An in-ground concrete pool, while more expensive, is most likely to add value if it’s well-integrated into the design of the property. There’s no guarantee that having a pool will boost your home’s value, but certain factors like your location, neighbourhood demographic (e.g. are there a lot of families with children in the area? ), and the pool’s age and design can make a difference. First and foremost, having a swimming pool should be for you and your family’s enjoyment – because owning one you don’t use equals money down the pool drain. Find out the value of your property and the market, with comprehensive data including property value estimates, comparable sales and historical suburb performance - in just 30 seconds. Get a free online property estimate today!